Whether you are a local, or visiting London…welcome home! Whether you see the Fair as a symbolic beginning of fall, or if you’re new to London and it’s your first year going, memories happen here. 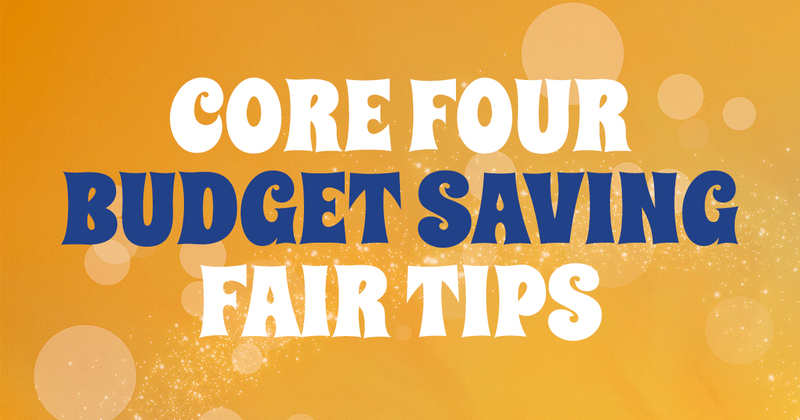 Introducing our “core four” budget saving fair tips to add to your annual fair bucket list. After all, the countdown is on – in just 50 days get ready for fun, experiences, and an undeniable community environment…welcome home! Need to get from one side of the fair to the other? Why don’t you take a wagon ride trip to the Agriplex to visit our infamous goat duo Stella and Vinny, or hangout with the other animals? Kiddos under 4 will be delighted to pop (or hop) around the brand new bouncy barnyard and blow-up corn maze! Both weekends Rise2Fame will be showcasing up-and-coming talent between 6 and 21 years old who want to showcase their talent at the Anne Eadie Park Stage. Interested in being the star of the show? Check out www.westernfairdistrict.com/western-fair/eligibility for qualification information. The Agriplex is hosting The Horse Show, as well as the high school rodeo. Both are free to fairgoers who purchased a general admission ticket. Also, don’t forget to reference your Fair guide for information on the entertainment spots, or “busk stops” located throughout the grounds! Over $17000 total in cash prizes will be awarded to the best of the best. All skillsets and ages are welcome to compete. Interested? www.westernfairdistrict.com/creativeartscompetition is your go-to source for more information on competition categories. See you in the Canada Building! Skip the line and buy online! The more the merrier, that’s why if you purchase a general admission ticket you get to bring an additional guest for free Monday-Thursday at any time! Combine deals to save even more, check out http://www.westernfairdistrict.com/western-fair/skip-line-buy-online for more information and to purchase your tickets. What are you looking forward to at this year’s fair? Let us know on our Facebook page, and enter to win one of our many social media contests!